This unique handwritten book was found in a collection of books left to me by my grandmother. 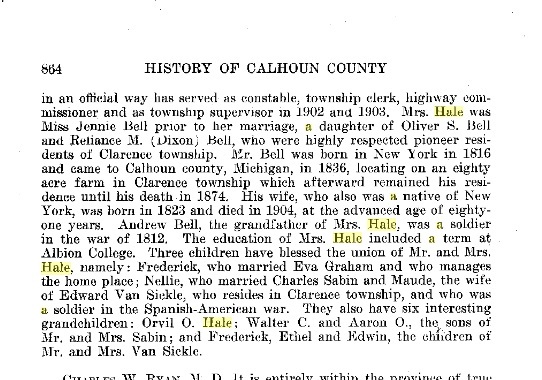 The book refers to J. H. Hale, Lucy H. Hale in Cass County, Michigan, and also Wallace A. Hale, Fannie E. Hale and B. F. Hale, Ann Arbor Michigan. There is a date in it of Aug. 17, 1846 concerning a rental agreement of $35.00 per year between Philip Wears and B. F. Hale. Also there was a date of 1848 for Housel’s Washing Solution, and another 1863. Like many script books of this era, it reflected the life of the individuals who used this book for their livelihood. 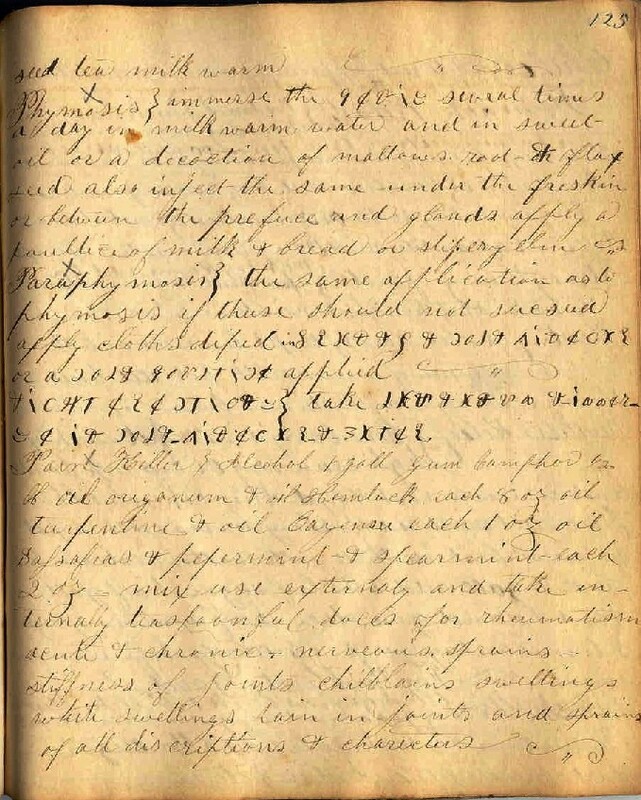 An archivist from Michigan State University told me that because this book would have been almost used daily by this doctor, it is rare to find one in this condition. It is likely this book came from the lumberman’s house in Lewiston my grandmother owned years ago, inherited from her uncle Elmer Thompson. It would be interesting to have a doctor evaluate some of these cures. Some of them seem quite nasty, poisonous, or painful. I have had an opportunity to meet one of the descendants of the Hale family, Lois Reid, and she has another book like it. Her book is referenced on page 16 of this book. 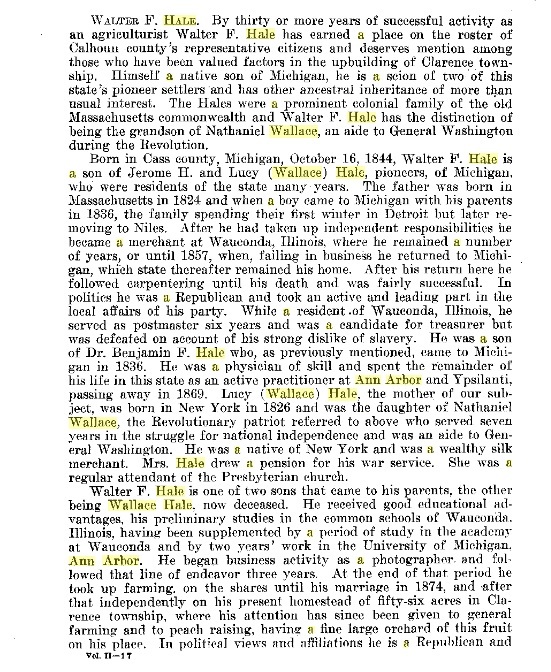 Wallace Hale was a doctor in Ashley, Michigan, and she said that she had Wallace’s doctor’s bag until someone in her family accidentally got rid of it. 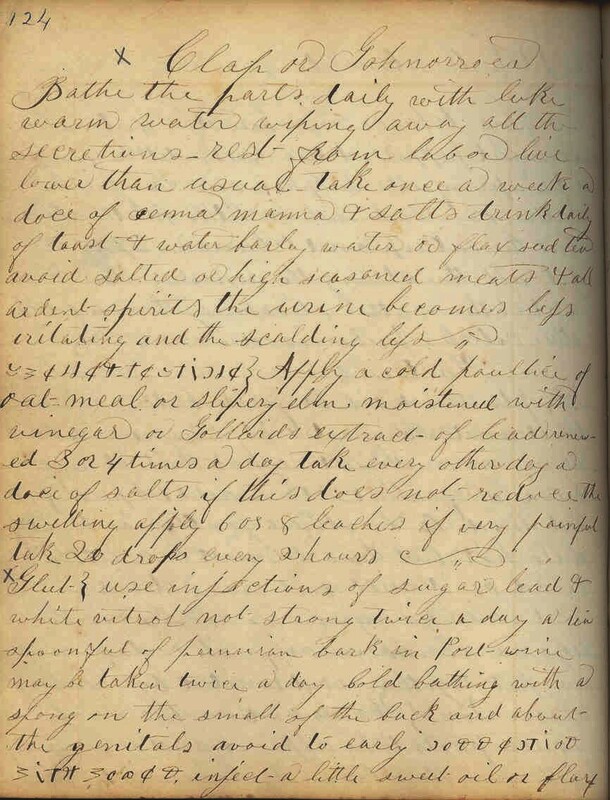 This book was donated to the Archives of Michigan on November 28, 2018, and is available for the public to view there. NOTE: The spelling below is the way it appears in the book. Recipes of particular interest are highlighted in bold. Ammenagogue; For Gonorrhoea or Clap How to cut an aquaintance; Brandy Rect; Adhesive Plaster; Cough Med.